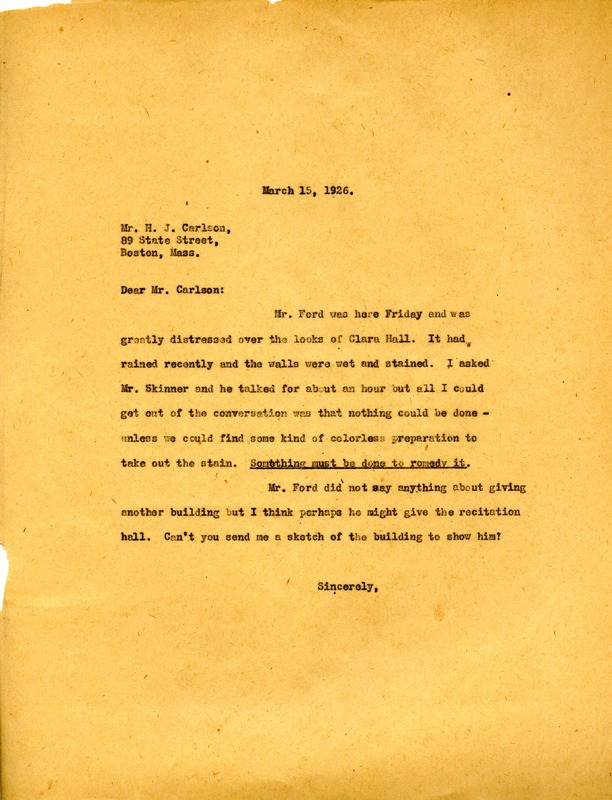 Martha writes to Mr. Carlson to explain that Mr. Ford was distressed over the looks of Clara hall and that something needs to be done to remedy the problem. Miss Martha Berry, “Letter to Mr. Carlson from Martha Berry.” Martha Berry Digital Archive. Eds. Schlitz, Stephanie A., Rachel Renaud, Aaron Jackson, et al. Mount Berry: Berry College, 2011. accessed April 18, 2019, https://mbda.berry.edu/items/show/1205.